Barcelona is one of the top destinations in Europe for a short break. The city combines culture, shopping, business and leisure. Main attractions are the Sagrada Familia, Picasso Museum, Gothic Quarter, Plaza de Catalunya , Camp Nou football stadium and the Ramblas. Downtown is the Shopping Line. This is a special shopping route of 5 kilometers long. Paseo de Gracia is the most famous shopping street. 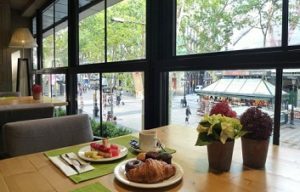 Royal Ramblas (3575 reviews, 8.3) is a comfortable 4-star hotel on Las Ramblas. The property is just 100m to Plaza Catalunya. The buffet restaurant is overlooking the avenue. Nearby is the Gothic Quarter and underground station. Hotel Lloret Ramblas (5275 reviews, 8.1) is a budget hotel at the Ramblas. The hotel is three minutes walking from Plaza Catalunya and it’s 100m to the underground station and the airport bus stop. Cuatro Naciones (2921 reviews, 8.3) is a nice 2-star hotel at 400m from Port Vell. 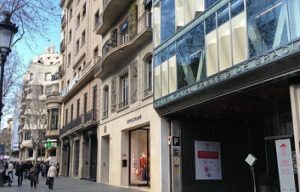 Paseo de Gracia is a shopping street with exclusive couture boutiques and luxury hotels. 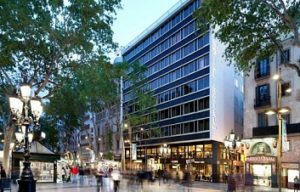 Royal Passeig de Gracia (4155 reviews, 8.6) is a 4-star hotel and located in the shopping street. The property is only 50m from La Pedrera and the underground. It’s very nice to sit on the roof terrace with sky lounge or in the interior garden. 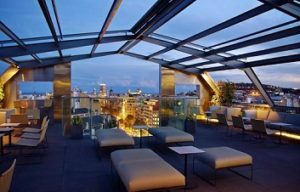 Majestic Hotel & Spa Barcelona GL (1805 reviews, 9.0) is a luxury hotel with 275 deluxe rooms, suites, two-bedroom apartments and duplex apartment. Eurostars BCN Design (1385 reviews, 8.5) is a 5-star boutique hotel at Passeig de Gràcia 29. The property is 5 minutes walking from Plaza Catalunya and Gaudi’s famous La Pedrera. To the underground station is 300m. The guest rooms are in avant-garde design. Barcelona Airport El Prat is 13 km of the city centre. In front of the terminals are the official taxi ranks, city buses and intercity buses. The airport bus operates between El Prat airport and Plaza de Catalunya. The buses depart from two terminals. In peak times the airport buses are departing every 5 minutes. A single ticket cost €5,90 and the journey takes 35 minutes. Ryanair flies from 14 European countries to El Prat. Ryanair also has flights to the airports in Girona and Reus. With the shuttlebus it’s 1 – 1,5 hour from Girona to Barcelona. A taxi from El Prat Airport to the city center takes 20-25 minutes and cost about €30. The airport railway station is 10 minutes walking from Terminal 2B. It is 19 minutes from the airport to Barcelona Sants. A single ticket cost €4. If you buy 10 rides the price is €10.